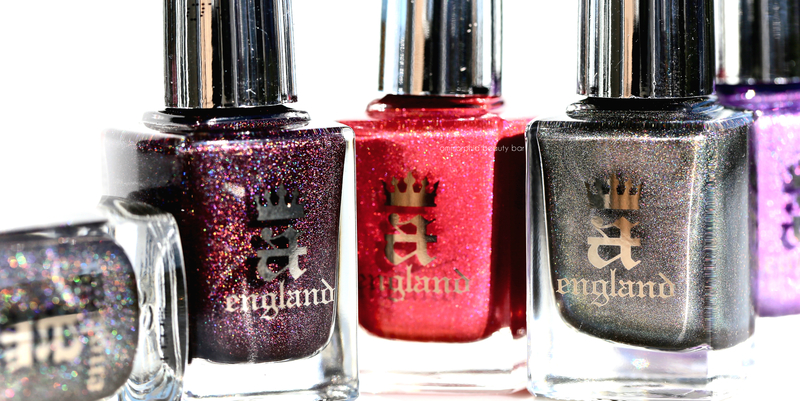 It’s no secret that one of my favourite nail polish brands is a-england, and not just for the absolutely stellar quality of the product. What makes this range a total stand-out for me, is how well thought-out and curated each collection is and the love with which founder Adina Bodana goes about in creating each shade. Inspired by her love of of Pre-Raphaelite art and literature, Tennyson’s Romance draws inspiration from a beloved poem of Adina’s, The Beggar Maid from Alfred, Lord Tennyson and brought to life by yet another of Adina’s favourites, the artist Edward Burne-Jones. “She is more beautiful than day”. The Beggar Maid | A steely grey base with olive undertones and a scattered holographic effect that gives off a slight pink shift under some lights. Self-levelling and almost a one-coat-wonder, this comes to a glossy finish. Angel Grace | A vivid purple with a strong scattered holographic effect. A slightly thinner formula than The Beggar Maid, but bearing the same smooth application and shiny finish. 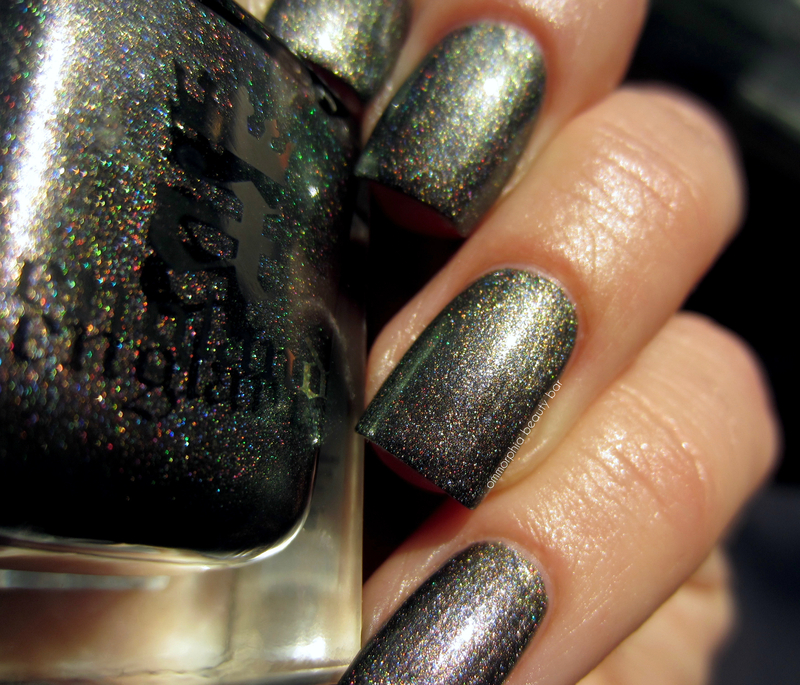 King Cophetua | Probably the black holographic shade to rule them all, the scattered effect here is beautifully rendered and this is truly a one-coat-wonder. Self-levelling and coming to a glossy finish, there’s no staining upon removal either. In Robe And Crown | A rich burgundy hue with a scattered holographic effect, with a flawless application, glossy finish, and no staining upon removal. I’m all about the ‘banked embers’ look happening with this shade and love how complex it is. Shall Be My Queen | A deep rose shade with a strong scattered holographic effect that applies almost fully opaque by the first layer. Self-levelling like the rest and coming to a glossy finish, with bonus no staining upon removal. As passionate as I am about beauty, that also applies to literature and art which is why everything about the Tennyson’s Romance collection resonates so strongly with me. This is a perfect example of all the right ingredients colliding, and no one does that better than a-england. 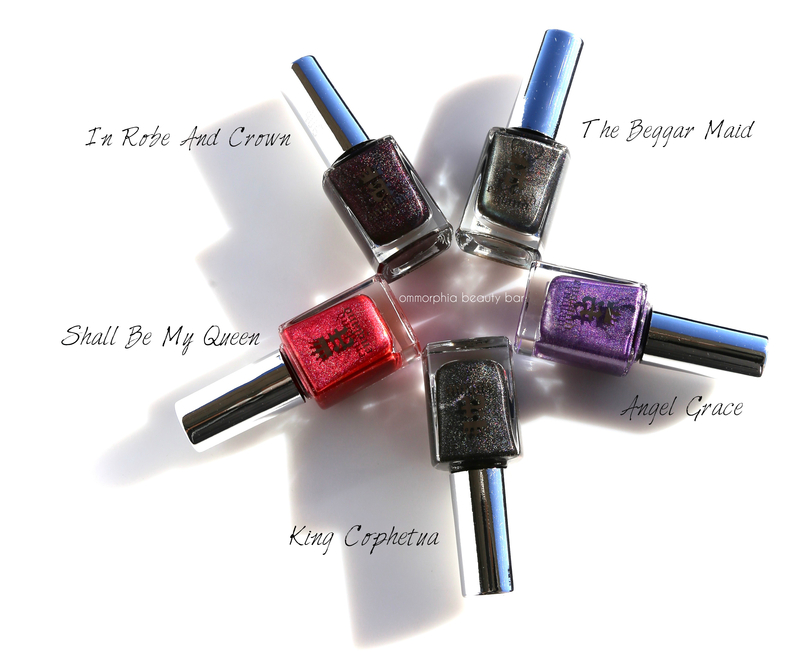 If I were to pick my faves, that would be The Beggar Maid, King Cophetua and In Robe and Crown — primarily because moody shades like that sit right in my wheelhouse. If you’ve yet to discover this brand, you really need to get on board because this is one unbelievably quality product that I honestly cannot recommend enough. Plus, just look at all this gorgeousness, am I right? Thank you for your very special tribute to the collection!